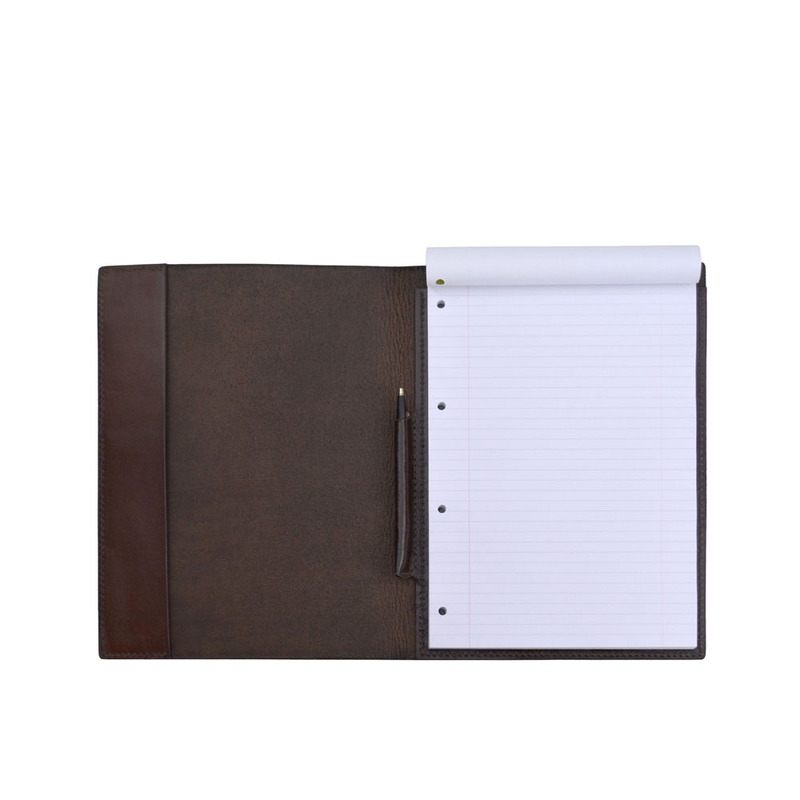 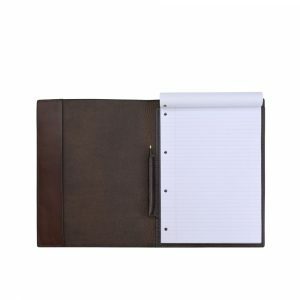 For business meetings and all client interactions, refill pads and even loose documents are safely protected inside this elegant cover that exudes style and professionalism. 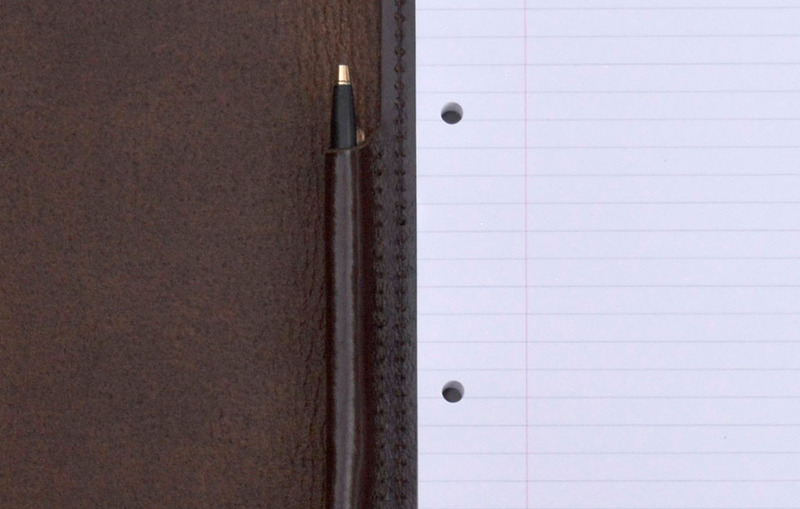 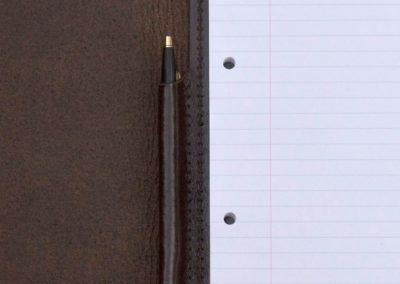 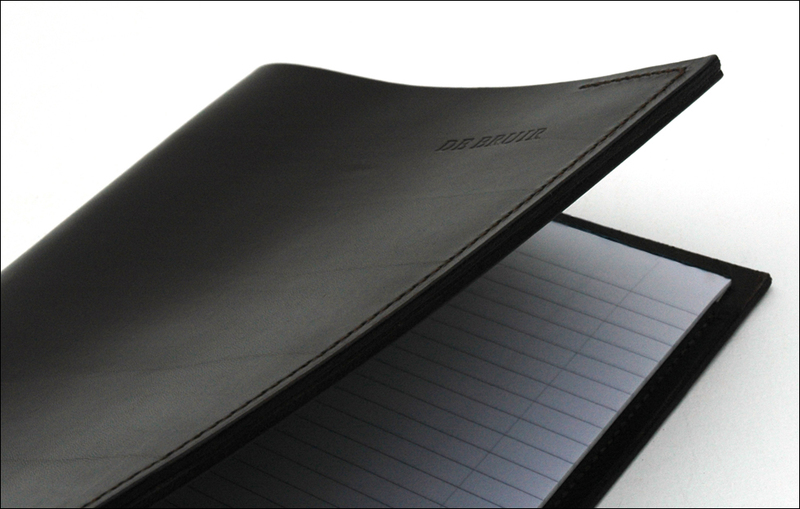 The Notepad Cover includes an integrated penholder and can be created for a top or side bound refill pad. 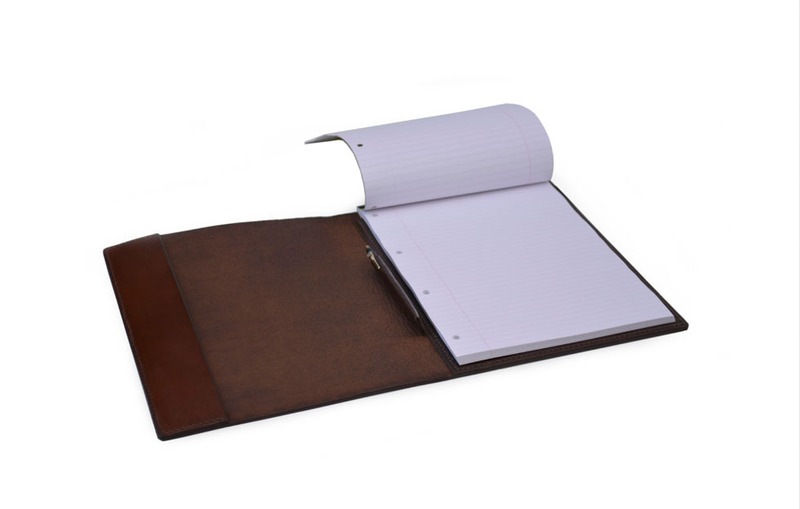 The Notepad Cover fits an A4 refill paper pad. 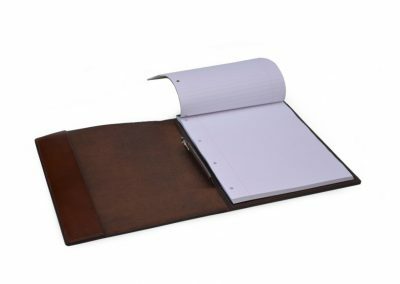 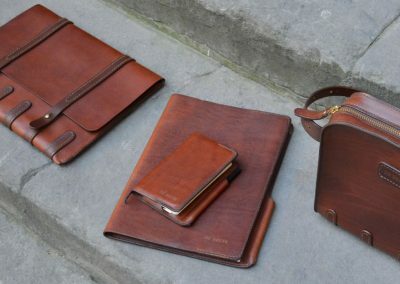 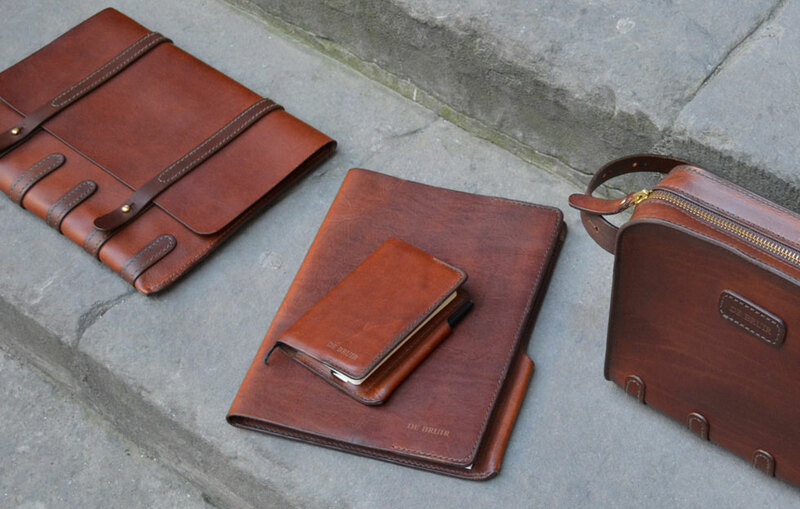 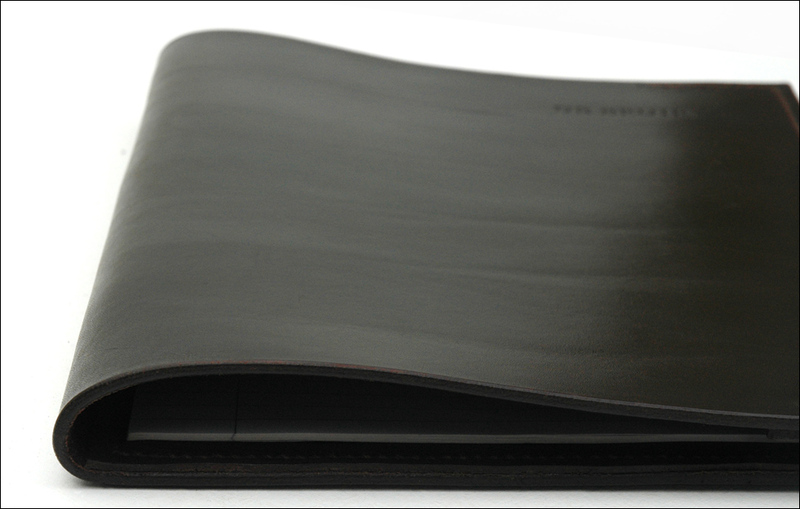 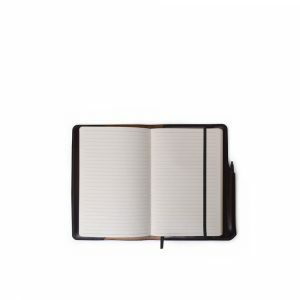 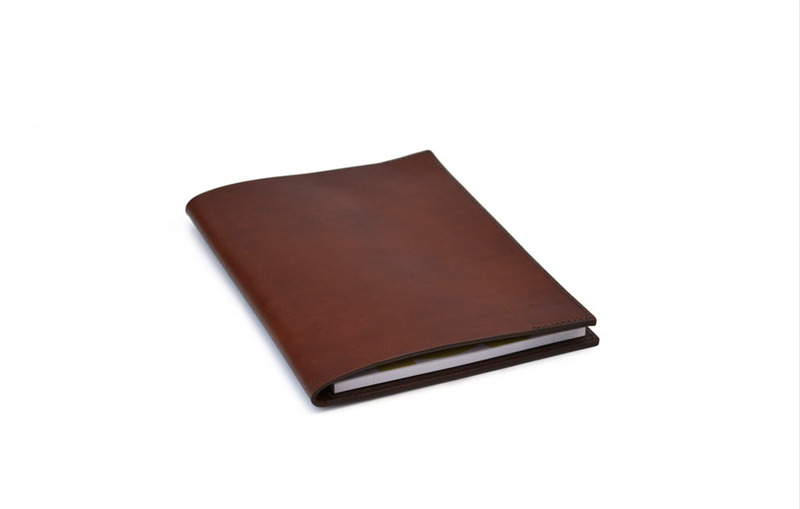 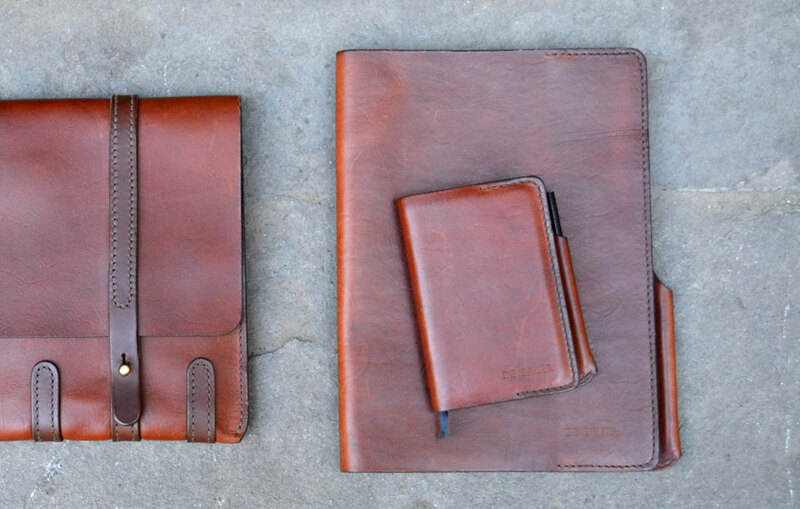 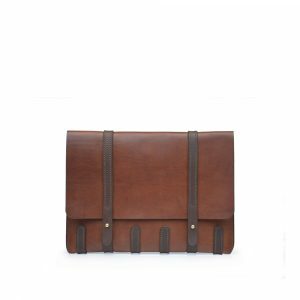 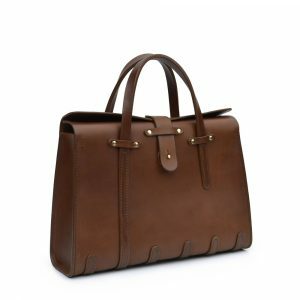 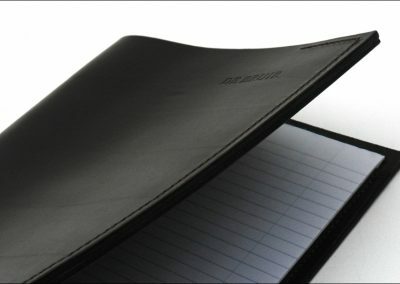 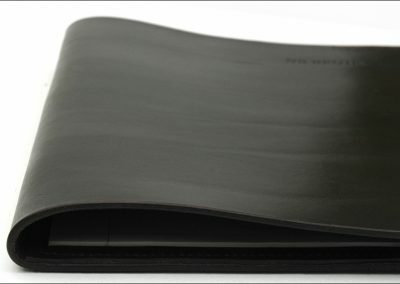 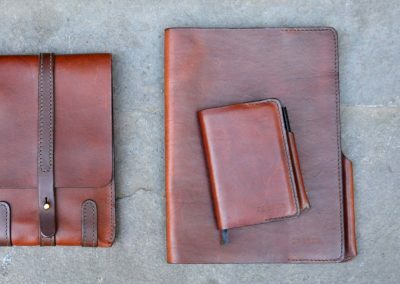 While the leather cover always opens to the side like a book, you can select it to suit a ‘Head Bound’ or ‘Side Bound’ refill pad.